Sustainable Fundraising for Local Schools and Community Groups. Looking for a socially and environmentally responsible fundraiser? At KABUU we're passionate about growing food sustainably. 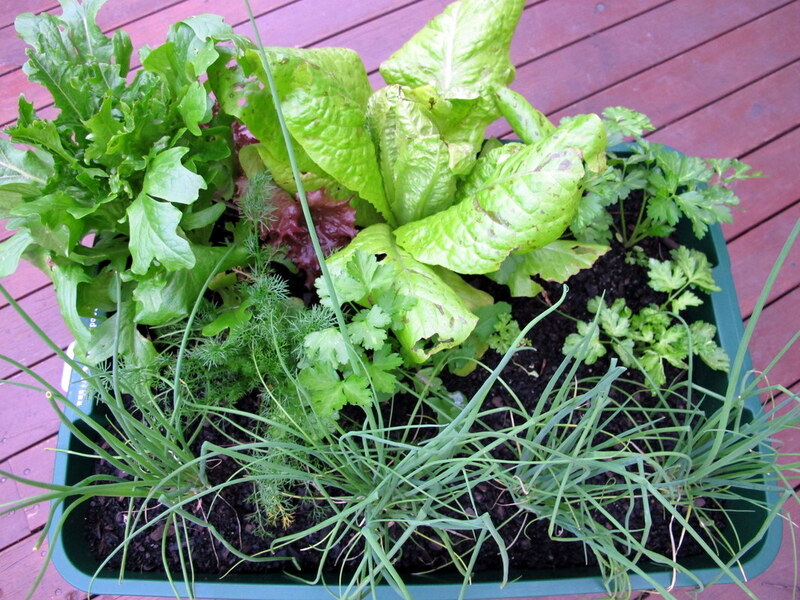 We grow our seedlings organically and distribute them in certified carbon neutral and biodegradable carry trays. We use recyclable plant tags made from unbleached recycled paper. 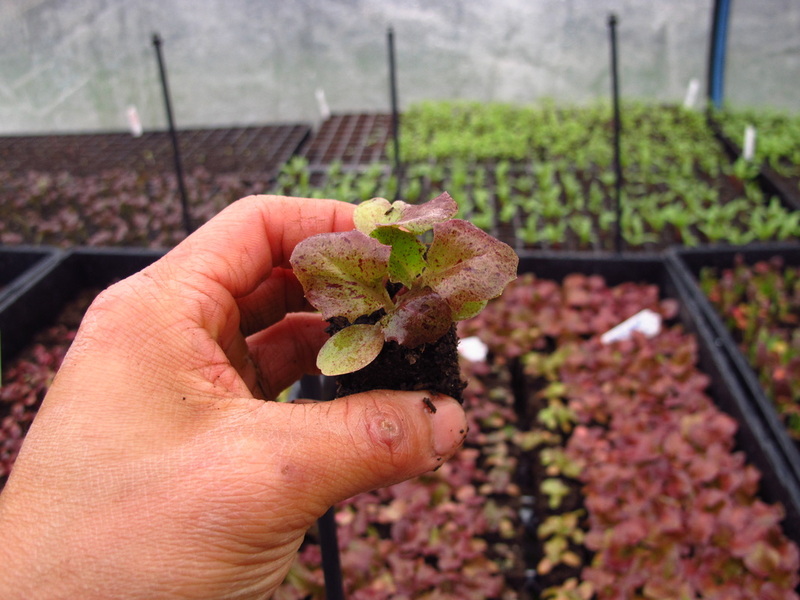 All our seedlings are grown by hand at our Nursery in Eltham, minimising energy required for transportation. 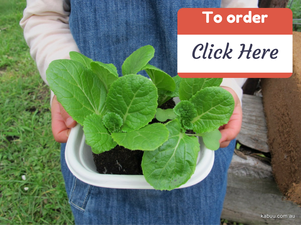 Our unique seedlings are quick and easy to plant, making them great for family gardening. KABUU seedlings are grown organically using the Natures BoxPress Method. This produces healthy seedlings with excellent root development and eliminates the use of disposable plastic punnets or peat. Every school receives 20% of profits from seedlings ordered online. (e.g. Your school receives $20 for every $100 of seedlings ordered). For more information about fundraising please E-mail us. 1. How much can we earn? Option 1: Earn 20 % of sales. We take care of all ordering and packing etc. All you need to do is promote this fundraiser. This option is ideal for groups with limited volunteer resources. ​Option 2: Earn 60 % sales. ​This is ideal for schools/community groups with an active fundraising team. You decide how you wish to sell the products (e.g. via orders or fete etc) and take responsibility for all aspects of money collection and packing. Earn 20% from all sales. We process all orders through our website. You don't need to deal with order forms, nor money collection. Simply direct your supporters to the Fundraiser order page where they can individually place their orders online. We individually pack all orders and deliver to your designated pick-up point. We send e-mails to notify everyone that their orders are ready for pick-up. All you have to do is make sure everyone collects their orders. Earn 60% from all sales. Your group takes responsibility for selling, packing and distributing the products as you wish. Please contact us for further information (e.g. product lists and packaging ideas) if you are interested in this option. 3. Is there a delivery fee? No delivery fee for local orders. 4. What products can supporters order for the fundraiser? 5. When should we order? Option 1: Supporters can order anytime during the fundraising period. Option 2: Please order at least six weeks prior to allow for growing time. 6. When are the seedlings delivered? Option 1: We deliver fortnightly on Wednesdays. To receive orders on that Wednesday, supporters need to place their online order by Monday. i.e. Online orders received after Monday of the delivery week will be delivered the following fortnight. ​Option 2: Contact us to arrange a delivery time that suits you.